To help relieve the burden of debt and acquire new customers, banks have long offered credit cards with a 0% promotional APR, for a limited time, on balance transfers. Applicants who qualify for a new card with these promotional rates can have their existing balance paid off by their new card. 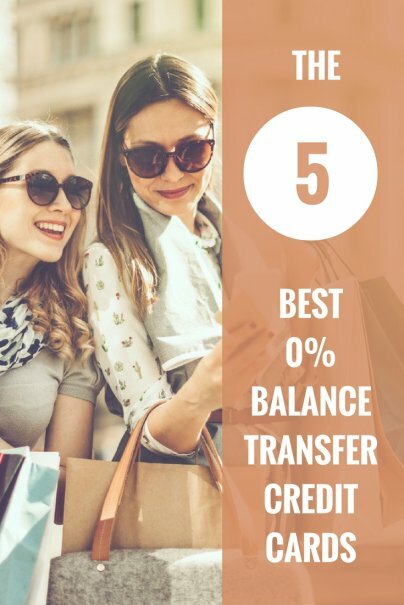 During the time that the 0% promotional rate applies, interest is not being accrued on the balance transferred; however, the amount transferred is almost always subject to a one-time balance transfer fee. This fee, typically 3%-5%, is added to the new balance. Also, cardholders are still responsible for making minimum payments on their account. New transactions may incur interest at the standard rate, although in some instances, the 0% promotional rate also applies to new purchases as well. Finally, no matter how much you are struggling with your debt, it is critical that you continue to make all of your payments on time, as only applicants with the excellent credit will qualify for most of these promotional credit card offers. First, it is crucial that those seeking a balance transfer do so as part of a comprehensive plan to eliminate their credit card debt. Such a plan should focus on maximizing their income, minimizing their expenses, and regularly paying down their entire credit card balance before the promotional rate expires. As part of an overall plan to eliminate debt, the benefits of a balance transfer are clear. For example, if a cardholder has an existing credit balance of $10,000 on a card with a 15% APR, that cardholder is currently accruing $125 in interest each month. If the cardholder continues to pay interest while reducing the balance by $500 each month, that person will still have accrued $1,250 of interest over the 20 months it took him to pay off the balance (15% interest applied to an average daily balance of $5,000 over 12 months). Alternatively, that person could accept a balance transfer offer of 21 months at 0% interest with a 3% balance transfer fee. In this case, that person's old balance of $10,000 will be paid off, while they will incur a new balance of $10,000 plus $300 in balance transfer fees. If all goes according to plan, at the end of the 21 months, the new balance will be paid off and the cardholder will have saved nearly $1,000 in interest. A 0% balance transfer is not an instant solution to the problem of credit card debt. You should think of these offers as a significant push up a big mountain, but you will still have to do most of the work yourself. Like every aspect of the credit card industry, we are fortunate to enjoy an extremely competitive market for 0% balance transfer credit cards. None of these cards have annual fees. Here are the top offers currently available. 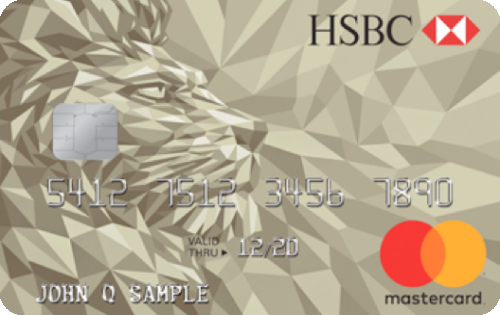 The HSBC Gold Mastercard® credit card offers a 0% intro APR on purchases and balance transfers for the first 15 months from account opening. Then a variable APR of 14.24%, 20.24% or 25.24% will apply. This card also has no penalty APR and a late fee waiver. There are also no foreign transaction fees and no annual fee. See rates and fees. Click here to learn more and apply for the HSBC Gold Mastercard® credit card today! The BankAmericard® credit card offers 0% intro APR on balance transfers for 18 billing cycles, one of the longest introductory periods currently offered by credit cards. This introductory rate applies to balance transfers made in the first 60 days of opening your account. After that, a standard APR for both purchases and balance transfers is 15.24% - 25.24% variable. There is a 3% balance transfer fee, minimum $10. There is no annual fee. The Citi Simplicity® Card - No Late Fees Ever offers an intro 0% APR for 21 months on balance transfers from the date of the first transfer (all balance transfers must be completed in the first 4 months), and on purchases for 12 months from the date of account opening. After the introductory period, the regular APR will be 16.24% - 26.24%* (variable), depending on your credit. There is a $5 or 5% balance transfer fee (whichever is greater). Simplicity doesn't have any cash back or points program, but it does offer no late fees or penalty interest rates, and include exclusive services like Citi Price Rewind. It also includes EMV Chip technology and is compatible with Apple Pay. There is no annual fee. 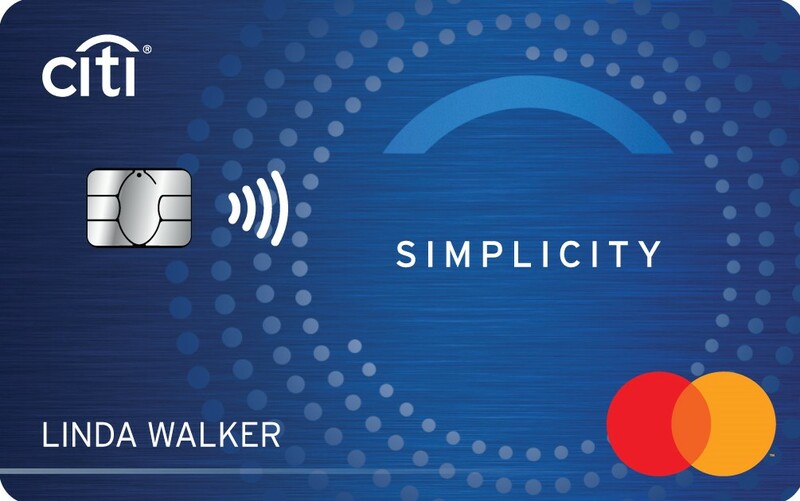 Click here to learn more and apply for the Citi Simplicity® Card - No Late Fees Ever today! 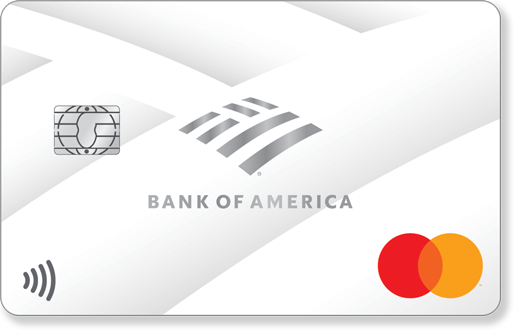 The Bank of America® Cash Rewards credit card offers a 0% introductory APR for 12 billing cycles for purchases and for any balance transfers made in the first 60 days, then 16.24% - 26.24% Variable APR applies. 3% fee (min $10) applies to balance transfers. You can also earn 3% cash back in the category of your choice: gas, online shopping, dining, travel, drug stores, or home improvement /furnishings, 2% at grocery stores and wholesale clubs (for the first $2,500 in combined grocery/wholesale club/choice category purchases each quarter), and unlimited 1% on all other purchases. There is no annual fee. Another option to save money if you have a large credit card debt is to transfer the balance(s) to a low interest credit card. This option is especially attractive if you won't be able to pay off the entire balance within the 0% intro APR period of the cards above. Click here for good low interest credit card choices. I know most people who decide to attempt the balance transfer as a strategy for debt reduction have the best intentions. But statistically it seems human nature takes over and those best intentions fall by the wayside and the uncontrollable urge to spend more overtakes them, or the money they would put toward the payoff now goes to some other cost of living expenses. It takes a strong will, and solid strategy for this to be successful. I have worked at a bank for the last 6 years, and it is very common for those balance transfers to end up working against the customer after a while. People transfer the balance, then feel the urge to spend again. If they stick to the initial plan, and use the transfer to lower the rate and get the card paid off, then its a benefit. There is no fee for transfers made in the first 30 days, and a 3% fee for those made after. Jeff, or anyone else, please add more details on this Discover card. I don't see a Discover card of any kind with a $0.00 balance transfer fee on their web site. Is this a referral offer? Is this as of Jan 1, 2017? Would love more details. 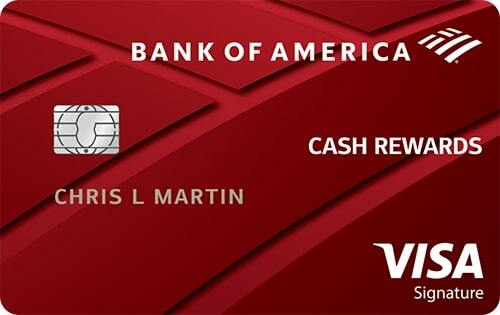 How about the bank of america secure card or reward card? they sound pretty good. I've used 0% promos for years. I call it free money (of course, its only free after you exclude the typical 3% transaction fee). Still $5k at 3% is better than 5k at 7% or 19%. Here's some advice: If you have a large, high-rate balance pick a portion of it that you feel you can reasonably pay off month-by-month in 12-18 months (the term of the 0% offer). Say you owe $9,000 at 12%. You feel you are disciplined enough to pay $300 a month for 12 months. Take advantage of a 0% 12-month balance transfer offer and transfer $3600 to that card. Stick to your guns and make those $300 payments (plus the $108 3% transaction fee/12=$309 total monthly payment). In those 12 months you'll save around $300 in interest payments on the $3600 you transferred. You're not going to get rich, but these free money offers are a great way to chip away at your debts. Bottomline: anytime you can reduce your interest rate, do it. You help yourself and you beat the banks. I used this strategy to payoff my credit cards completely. You must be diligent, and throw everything at your balances to pay them off as quickly as possible. If you use a 0% transfer, make sure you have a plan to pay it off by the time regular rates kick in. Banks are counting on you to miss the opportunity. That means, until the card is paid off, keep to your budget and wait to put money into investments (it's nearly impossible for the average investor to beat the 15% your credit card will charge you). Great review on these cards. You are right that most of the work is on the part of the one owing the money. Still, if you stick to a budget, at least the payments are will go farther. I just recently opened a Discover card and although it may not have fees overseas, it is known as Diners Club over in Europe and when I was there for ten days between three different cities I only found ONE ATM the entire time that took it!!! Discover it and City would my on my list for sure. That said, Aram makes a great point that the buyer needs to be cautions while falling for any scheme coming across their way. Most such offers are indeed attractive, but having a plan B (know your budget limits) might be more than helpful. I use 0% no fee balance transfers to make money even though i have no debt. Just do the maximum balance transfer to a card with a $0 bal. and you will get a credit balance on that card. Then ask for a credit balance refund check. Then put that check in a money market account and earn interest on it while making the minimum monthly payment. Then at the end of the term pay the balance off in full before the interest kicks in. I use Ally demand notes for this at 1.35% apy. I have been doing this for 20 years. Great overview. Balance transfers can really make a difference to your finances if used wisely. Whilst most offer 0% on the balance you are transferring across you will be charged the full interest rate on any new purchases on that card, so if the rate on your old card is cheaper, then transfer the balance to the new card but continue to use your old card for additional purchases. I've had a Discover card for twenty years. Sometimes I keep the balance very low but it varies due to my employment situation, etc. My interest rate has always been the highest they charge - something like 23%. And everytime I have worked it down to pay off the balance they tell me I am one of their best customers. And I always ask - so why the 23%? - and they never have an answer. Do any of you know how I could transfer my balance to a lower rate and stay with Discover? I do like their online payment system and they have great customer service. But, come on, 23%????? And since I lost my job three years ago, I'm carrying a bigger balance than I ever have in the past - greater than $10K. It keeps me from sleeping at night. If you have a good credit score (check out Credit Karma and/or Credit Sesame), you will LOVE following the advice in this article and applying for a good balance transfer card. I myself got dunned $31 on my Discover Card and more to come this month as previous promotional rates expire. With a credit score of 765, I applied for both the Citi Diamond Preferred Card and the DiscoverIt card and was able to place in just a few days $4,800 at 0% for 18 months. One card is giving me an excellent apr thereafter of 11.99%, while the other card wants 22.99% (dream on...). The main point to remember is you are to "use them" ... don't let them use you! But in a year and half from now, things will be different. Your balances will be lower, and you might find it won't be so much. But I'll be on the lookout at that time for a new deal! You must be pro-active and learn how to handle your credit. I also recommend the books of Unity Church Worldwide founder Catherine Ponder, who teaches how to create your prosperity through spiritual principles. Do as she says, even if you don't buy it. Soon, you will... Definitely helps sleep better at night, and actually, it's what's happening in our world right now... (Moving from the material to spiritually created reality, in my opinion...). Good luck! I really like the Discover card for its 0% apr on balance transfers for 18 months. The free FICO score is a great bonus as well. Can I transfer a unsecured personal loan to a credit card? The loan is with Wells Fargo. Many banks and credit card companies make balance transfer offers in the mail, offering checks that have different rules. For example, one check might apply to your card with 0% apr for 18 months, with a 3% or a 5% fee. Another might have 0% fee with a different apr per month, etc. If you have a credit card that has balance transfer capability, call the customer service number and talk to someone about receiving checks by mail. Or sometimes, they have electronically deposited funds directly into my checking account. You need to understand that there is a fee most companies charge for balance transfers. Usually around 3%. This is how they make their money. They collect their interest in advance, so to speak, but they also hope you'll hang around and give them more interest money later on, too. I believe in talking to customer service representatives. They can be really helpful in advising you what you can and cannot do, what you should do, how they can help you, etc. I once used what I called a "credit card check," when I was much younger, to pay for a medical procedure for $400, which I had to pay in advance. I felt so blessed to have that available to me to help me pay for the procedure. You can use a check to pay off your loan, to pay for car repairs, a remodeling project, etc. It's important to know how much you can spend this way and how much it's going to cost you. Don't be afraid to ask questions. Take notes. Then say thank you, I want to think about it, and hang up. You can call someone else for advice, then call them back later. Make sure you understand all about it. But it's a very helpful thing the credit card companies do, in my opinion. Almost every credit card company is going to charge 3% fees or $5 for balance tranfer fee except slate from chase. 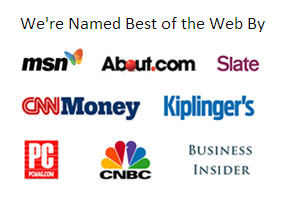 None of the other credit cards offer is good. if you are tinkging about balance transfer, be careful just apply only for slate card. Read the fine print and then apply for crdit card. When one is being charged $35 a month in interest, it seems in that person's best interest to seek a better deal -- where for the period of a year or 15 or 18 months, all of one's payment applies to the actual balance and none (or only a little or much less...) is going to interest. THAT is what seems wise for me. Now, how far do you want to go with that? Is $15 a month in interest too much? Is $5 a month in interest too much? Each one has to decide for himself. But simply to state that everyone will eventually go back to spending too much fails to take into consideration each person's circumstances. For all you know, a person accrued such a debt in paying for a repair to an older model car. Or accrued debt in spending money in an attempt to sell an older restored pickup truck. Or spent money in payment for a medical procedure not covered by insurance (if that person has insurance...). A person may have accrued debt in driving 120 miles a day round trip to visit one's mate in a rehab facility 60 miles away, where one is responsible for that person's clean clothing. OR a combination of all of these factors. There are lots of reasons for a person's indebtedness, and frankly, having been there myself, I am not going to judge. I have used this strategy a few times in my life always vowing to never put myself in that position again. The real key is to make sure you pay off your balance before the interest free period is over. If not, you can easily find yourself in the same position as before. Looking through the post and comments, unless I missed it somewhere, there is no mention of the fact that when you pay off the transfer by the end of the offer the transfer fee must be doubled (if it for 12 months and adjusted for more or less) to see the true rate. You only owe the full balance for 30 days. Only when you calculate using the true interest rate comparison can you correctly determine the advantage if any of making the transfer. All transfer offers I've ever received fully inform you of what the card's interest rate will be continuing on. If you know in advance that your interest rate is going to skyrocket, a person can revisit such sites as www.creditkarma.com to see what current offers might be available BEFORE you are socked with a large interest payment. Of two recent balance transfers, I plan to keep one card with a very good interest rate and skeedaddle on the other! If you transfer you balances to different cards that give signing bonuses you can MAKE money. Although having a job might be a better way to make money. So would collecting aluminum cans for that matter but I digress. If you want a Discover Card referral or American Express Platinum Card Referral I put mine on sharethebonus.com. Feel free to use them and get us both a few extra bucks. Can Canadians get the Chase slate card? New thought #2: I recently read somewhere that when creditors believe you are not a good credit risk, your offered interest rate will be between 17% and 27%! Wish I had known that a few months ago!!! The problem I run into is the limit on balance transfers. Normally only $2-3 thousand can be transferred (from what I've seen), so for those who owe substantially more on their credit cards, it certainly is not the answer to all of your problems. I find that a lower interest rate personal loan is generally the better route to take for those with higher credit card debts. I need the card approved for a house update. The Chase Slate card is really good as you can qualify with just an average credit. But unfortunately, they offer no rewards. Also, this card isn’t good if you have huge credit card debts because you’re allowed to transfer a balance of maximum $15,000.